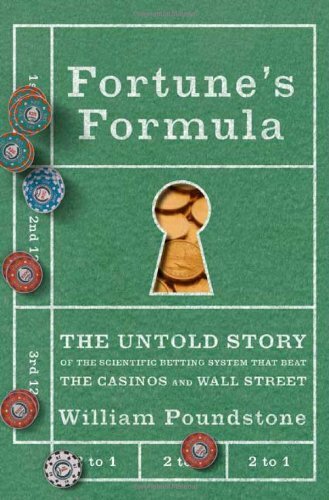 In a terrific book by William Poundstone, Fortune’s Formula: The Untold Story of the Scientific Betting System that Beat the Casinos and Wall Street, is the story of a 1968 dinner meeting between mathematician Edward Thorp and fund manager Warren Buffett. Poundstone casually mentions that Buffett and Thorpe discussed their shared interest in nontransitive dice. The game involves four specially numbered dice. You let your opponent pick any one of the four dice. You choose one of the remaining three dice. Each player tosses his or her die, and the higher number wins the throw. Amazingly, in a game involving 10 or more throws, you will nearly always have more wins. The trick is to always let your opponent pick first, and then you pick the die to the left of his selection (if he picks the die with the four 4s, then circle round to the die with the three ones). It’s just like playing Rock, Paper, Scissors — only you get to see what the other guy picks in advance. With these dice, you always have a 2/3 probability of winning — what a great sucker’s bet!